You will feel right at home at this Baymont Inn and Suites Grand Rapids N/Walker, just off Interstate 96, minutes from downtown Grand Rapids and close to Gerald R. Ford International Airport, the Van Andel Museum, Meijer corporate offices, Walker Arena and Grand Valley State University. Smoking is not allowed at this hotel, which offers complimentary wireless Internet access and complimentary continental breakfast. 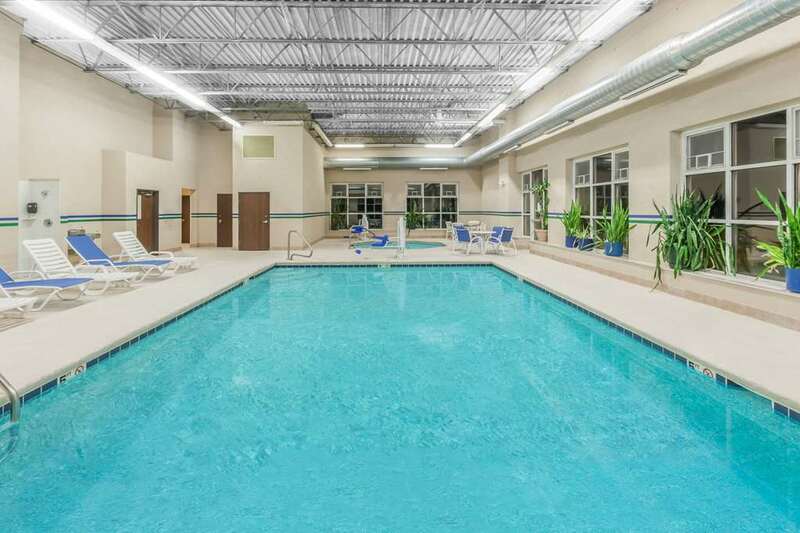 Splash in the heated indoor pool and hot tub. Refresh your wardrobe with the laundry service, and enjoy complimentary parking for all vehicles. The business center offers meeting space, computer access, complimentary wireless Internet access and printing service. There is no charge for kids through age 17 when accompanied by an adult.